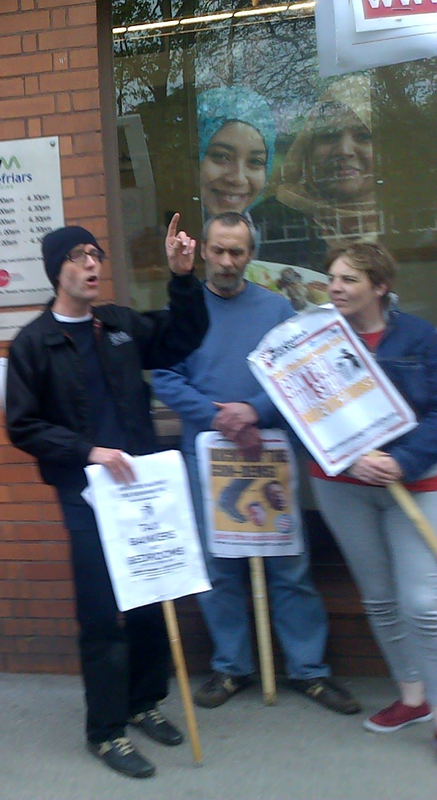 Robert McArdle is a Socialist campaigner in Lower Stoke ward in Coventry. Here’s what he had to say about Coventry Council’s latest plans for cuts to public transport! “One of Lower Stoke’s Councillors, John McNicholas chairs the Centro Integrated Transport Authority and is assisted by fellow Lower Stoke Councillor Catherine Miks (Vice Chair – Task and Finish Committee). Instead of building a campaign to stop money being robbed from this vital public service, they have had a hand in the latest £7m of cuts announced this week. Coun McNicholas said that 15 per cent cut will “inevitably impact further on Centro’s staff and the way they deliver services”, reports the Coventry Telegraph. Councillors are happy to take the money for sitting on committees but opt to take the “easy” option by passing on government cuts dutifully. What will this £7m of cuts look like for those in Coventry who reply on public transport? It will mean higher prices at a time when pensioners are already cash strapped because of hikes in energy and food costs. Jobs will be lost and services reduced. Yet this is not the end, cuts will be expected in the years following IF we allow them to get away with it. As a Socialist, I believe the best way to provide public transport is to take it out of the hands of greedy private companies that serve shareholders not the public. We believe in a properly fully funded transport service that serves the needs of the public. That means affordable, accountable bus services. I think I would have a few choice words to say to the government if I were a Councillor! ‘SHOCK HORROR’…Poverty Minimum Wage doesn’t work! – Time to Fight for a £10 an Hour Minimum Wage! Well said Rob. Glad to say as a group of socialist trade unionists who work in the Local Authority that you always support our lobbies and protests.